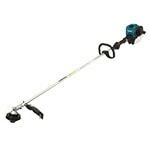 Home » How-To Library » Does Dolmar Still Make String Trimmers? Rest assured, Dolmar string trimmers are not gone. However, the name has changed to Makita. The same design, engineering, and manufacturing standards still provide reliable quality, powerful performance, and ergonomic comfort. 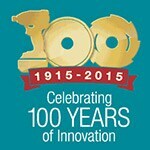 So while the name has changed, the characteristics that made Dolmar a trusted brand remain. Combining their knowledge and expertise enabled them to create an outstanding marriage of raw power and cutting-edge technology. For approximately 25 years, the two brands continued to market and sell their products under different names. But because Makita has built such a strong brand name for itself over the years, they decided to merge their outdoor power equipment and Dolmar’s products under one name – Makita. For those of you who have loyally stood behind the Dolmar name, you can trust that you’re getting the same product. Makita gas-powered equipment is exactly the same in design and quality as the Dolmar power equipment. The two companies joined forces, so many Dolmar string trimmers made over the years have had an equivalent Makita model as well. The only real differences were the color and the name. Any Dolmar string trimmers still in stock were placed for sale, and then the change took place. You'll see that Makita string trimmers have the same quality design and features that you've come to love and expect from the Dolmar name. So whether you're a Makita fan or a Dolmar fan, you'll be able to get the same great trimmer you've come to trust in the blue/teal Makita string trimmers. The same transition took place for leaf blowers and chainsaws, but the chainsaws carried over the warm red color from Dolmar. The string trimmers and leaf blowers involved in the transition now sport Makita's blue/teal color. Does Dolmar Still Make String Trimmers?.. 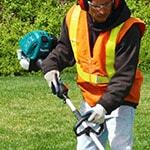 Our Power Equipment Direct how-to library can help you learn about How to Measure Cordless String Trimmer Power, Straight Shaft vs Curved Shaft String Trimmers and 2-Stroke vs 4-Stroke String Trimmers.